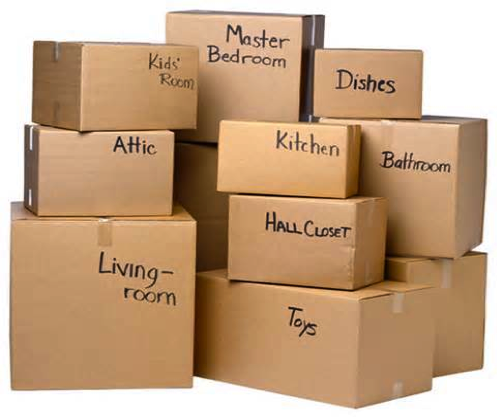 At one point or another, you may find yourself in need of storage space for some of your belongings. Finding suitable storage space for your valuable possessions can be incredibly frustrating, especially if you have plans such as travel, selling your home, or a building project. If you live in Ventura County, however, Honor Storage is at your service with secure on-demand portable storage units that are sure to suit your unique needs and budget. Honor Storage Ventura is a storage facility conveniently located on 3112 Seaborg Ave Suite D in Ventura. As long as we remember, we have been offering the community in Ventura County excellent storage solutions. Whether you are a student, household or local business, our team at Honor Storage will do whatever they can to make your move as pleasant as possible. Our team exists out of numerous storage experts, and we aim to be more than a mere storage company. We strive to provide our clients with modern and cost-effective storage solutions. Our primary goal is to meet our clients’ and other stakeholders’ expectations by consistently meeting quality standards. Since you are separated from your belongings while they are in storage, Honor Storage also works hard to establish trust and build a long-term relationship with you. After learning a little more about us and our services in Ventura County, you may still be unsure of why you should go with Honor storage. Keep reading to learn more about our services and how it can be beneficial to you. Why Choose Honor Storage Ventura County? Although Honor Storage specializes in storing our clients’ belongings, we also offer a wide range of additional services to make life easier for you. One of these services is picking your possessions up and delivering them to the storage facility. When the time comes for you to take your belongings back, simply let us know, and our team of moving professionals will pick up your items at the storage facility and deliver them to your address. If you use our delivery services, you can leave everything in our hands and only worry about your travel plans, property transaction, renovation project, or whatever else requires your attention. If you are like most people, one of your first considerations when it comes to storage is costs. Since we offer personalized storage solutions, you can be sure that you will only pay for what you get— which is the exact amount of storage space you need, and not a rounded-up price. Are you storing delicate belongings like glassware or a piano? Our team has extensive experience and equipment to move your precious belongs safely to the storage facility and back. We will also store your goods in a manner that ensures complete protection and no risk of damage. Even though Ventura County has an incredibly low crime rate, you may still stress about the safety of your belongings in storage. Honor Storage’s facilities have extensive security measures in place, including 24/7 video surveillance, alarm systems, perimeter security, and security staff. To date, we have never experienced a loss due to criminal activity on our storage facility sites. The storage units a company has and their ability to store your belongings safely is one of the most significant considerations to make when deciding on a storage service provider. Firstly, our storage units are conveniently located near Ventura County in Santa Barbara. The relatively short distance between Ventura and our storage facilities means that costs and risks of transportation are low. Our storage units offer a wide variety of features to choose from, including climate control, drive-up access, indoor storage, and 24-hour access. They are also equipped to house and protect your belongings for many years without risk of damage due to dirt, moisture, exposure to the elements, or pests. Another benefit of using our storage units is that they are easy to access. The units are designed to allow you to find an item in the shortest amount of time possible. Since you can access your belongings at any time of the day or night, using our services means full control over your possessions. If you want to store specific items, for example, a vehicle, electronics, or clothing, you may not know which storage solution is the most suitable for your needs. Contact Honor Storage to find out more about our storage units and an appropriate unit for your needs. 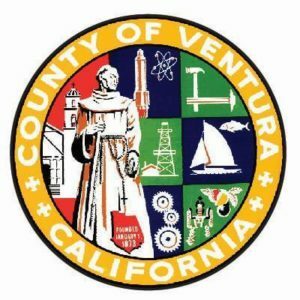 Ventura County is a county in the southern part of the state of California. The largest city in the county is Oxnard. Ventura County has also been named the “most desirable” place to live in the United States. In this part of California, you will find epic surf conditions, chili peppers, and low crime rates. The overall crime in the county is 33% lower than any other place in California which makes it a popular place to live. Unfortunately, Ventura has a severe lack of affordable housing. Due to the scarcity in housing, many property owners are reluctant to use the available floor space they have for storage. By using Honor Storage’s services, you will be able to free some of the available space you have for yourself or as an additional rental income. Storage units are a great way to clear up much needed space, without having to discard any sentimental or valuable belongings. Our safe and secure Ventura storage facilities, allow you to reduce clutter, store valuable items securely, and free up space in your home or office. If you're looking for a local Ventura storage company near your home or office the provides easy access, reliable service, and options that meet your specific needs – then Honor Storage the right choice for you. If you are looking to explore storage options in the Ventura area, call us today or submit a free quote and we will get in touch in a timely matter! Moving from or to a different location? Check out our other Honor Storage Locations. We have two storage facilities that are close to Ventura County in Santa Barbara, CA: one at 719 Bond Avenue and the other at 1N. Calle Cesar Chavez #130. We’ve recently also been helping the community in Orange County. You can find that storage facility at 6122 Katella Ave, Cypress. Many people go through their entire lives without ever needing self-storage. If you, however, live with a hoarder, plan on selling or renovating your home, want to go on an international trip for several months, or go through a divorce, a convenient storage service can be a lifesaver. Unfortunately, not all reasons for seeking storage are pleasant, and you may be under a lot of stress. If you use Honor Storage’s services, the good news is finding reliable storage is one less thing you’ll have to worry about. Our high-quality storage units offer complete protection for your belongings, and our team goes the extra mile to ensure that you have peace of mind when while using our services. Finding suitable storage for your belongings is a short phone call away. Instead of settling for storage services that are expensive, inadequate, and complex, contact Honor Storage today for a free initial consultation and quote.